Last night, there was a roundtable discussion at the British Library in honour of Robert Holdstock, entitled “Heartwood: Telling the Matter of Britain”. It featured Stephen Baxter, Lisa Tuttle, Donald E Morse, Paul Kincaid (filling in for Brian Aldiss), and was chaired by Graham Sleight. 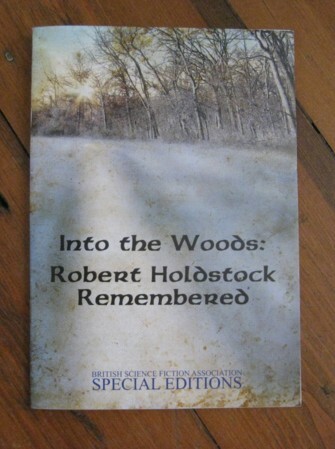 At it, Graham mentioned that the BSFA produced a booklet in memory of Holdstock earlier this year. Further, Stephen Baxter, BSFA President (among other things), read an excerpt or two from the booklet, from an interview which Paul Kincaid did with Rob. If you were not a BSFA member at the time of that mailing and are interested in getting a hold of it, we still have some copies left! Contact Martin McGrath – martin@martinmcgrath.net.